Before we publish the full review of the model we stumbled upon something very interesting. As LG’s flagship comes with different back covers, they affect the outer temperatures of the device accordingly. 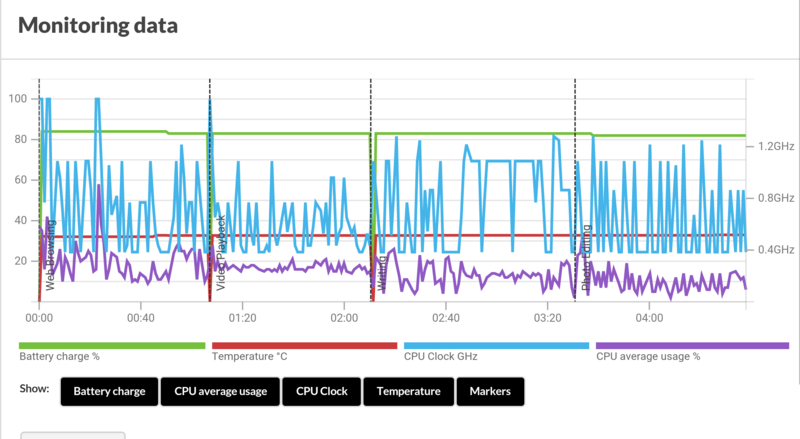 We ran our usual CPU stability test to see how it handles everyday tasks such as web browsing, video playback, writing and photo editing. You can see more detailed graph below. And now we get to the interesting part of this article – the outer temperatures. Many of you might be concerned about the Snapdragon 808 overheating like the Snapdragon 810, but our tests show that the hexa-core CPU is nowhere near the temperatures that the Snapdragon 810 devices reach. Furthermore, the leather back needs more time to reach certain temperatures, while the plastic cover heats up faster. You can see the difference between the two backs when you record 4K video for 10 minutes and how they keep the same temperatures during more than 45 minutes of gaming session. Stay tuned for our full review as we have more in-depth tests and analysis regarding LG’s new flagship smartphone.